Looking for a touch more space and privacy? Look no further than the villa. If you’re seeking a little piece of heaven, there’s no need to look any further than the Grace in Santorini; one of the world’s most coveted holiday addresses. This volcanic island, which stands in the astonishing blue Aegean Sea, is in a league of its own when it comes to romance and up-scale downtime. Balanced beautifully on one of Imerovigli’s dramatic cliff edges, the Grace hotel is a super-chic addition to the region. Its height grants panoramic views across the sapphire water and rocky caldera. 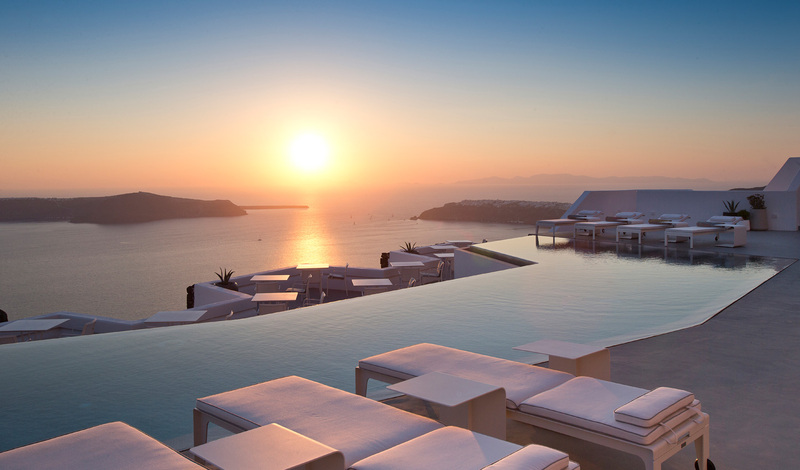 Greece’s sunsets are universally celebrated and that famous golden light casts a spectacular shine across Grace. There is literally a photo opportunity a minute. 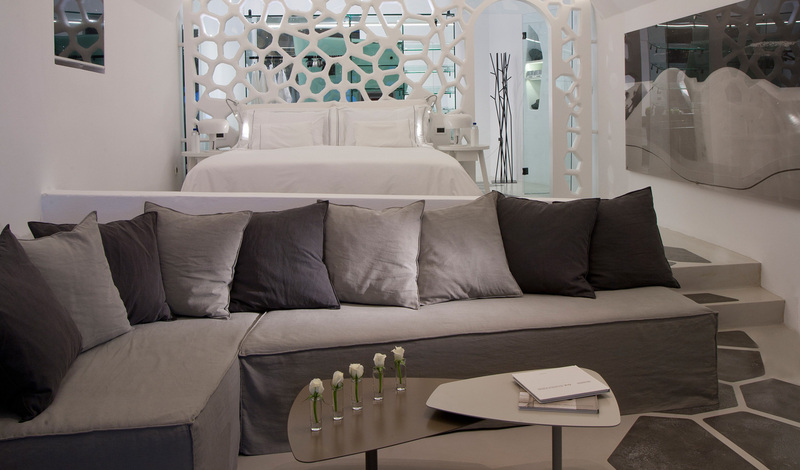 A fresh white theme runs throughout all the rooms and communal areas. It manages to be minimalist and sophisticated but still soft and inviting. Several of the suites enjoy a personal plunge pool and terrace, but if you’d rather have a little longer in bed, choose to have your champagne breakfast while lying on your king-sized coco-mat mattress. As its name suggests, the whole scene is one of effortless grace. But don’t be deceived – the fact is immense effort is put into every aspect of your stay to make it perfect. After all, The Grace is a multi-award winner for a reason. Not only is it absurdly beautiful, but uniquely bespoke. There is a pillow menu, a range of different room fragrances to choose from, natural skin & hair products, a personalised in-room bar and more. In Santorini, the Grace group have truly mastered their motto of elegant simplicity, so come experience the bliss for yourself.